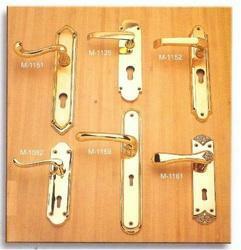 Our team of professionals fruitfully manufactures brass door handles levers using best quality brass. These door handles levers are intricately designed and bear an elegant and attractive look enhancing the doors and windows. Our exclusive gamut is in high demand in the domestic market as well as the foreign front. We have for our clients an unmatched range of durable Lever Latch Handle that come in a variety of designs and sizes to suit the different kinds of doors. These Lever Latch Handle are durable and offer assured safety to our clients. Hyco Locks And Hardware Co.
We are a well-renowned organization in the industry to provide our patrons the best quality array of Stylish Push Button Door Handle. 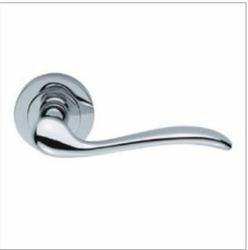 We are engaged in providing a wide range of Ornate Lever Door Handle to our clients.